Garden Center - Lake Ridge Nursery, Inc.
At Lake Ridge Nursery and Garden Center the future of horticulture has arrived. We continually look for new varieties of high quality plants that will inspire home gardeners. 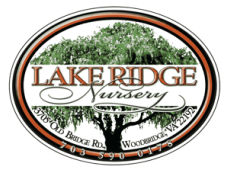 We have a full selection of colorful plants, shrubs, trees, grasses, provided by a number of quality vendors like Proven Winners, Weeks Roses, and Langeveld Bulbs.